Tuesday 23 August saw the race for the Amateur Flat Gentleman Jockey Champion title hot up with the familiar name of Simon Walker adding to his lead. 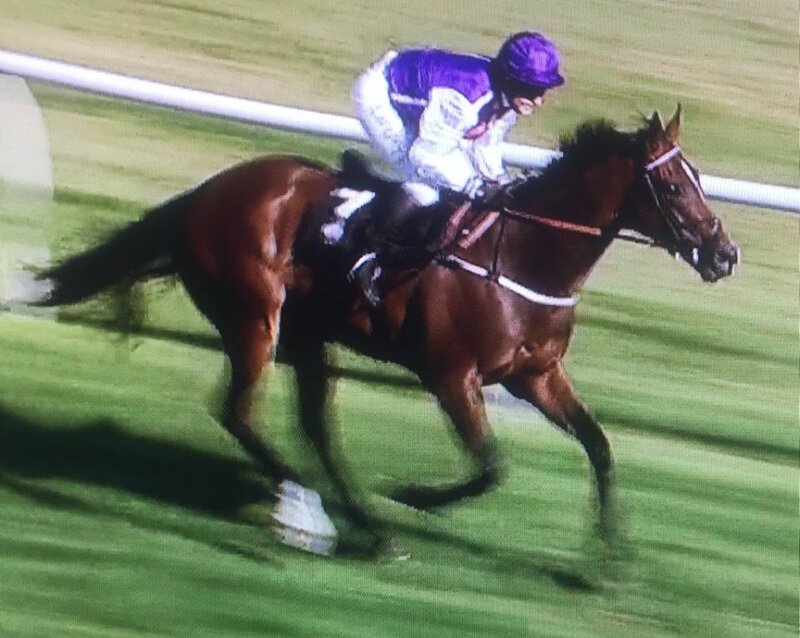 Simon is now on 7 wins after a masterful ride on the green but game MAGNIFICENT MADIBA for George Baker at Brighton, and is now 4 clear of his nearest rival and good friend Ross Birkett. 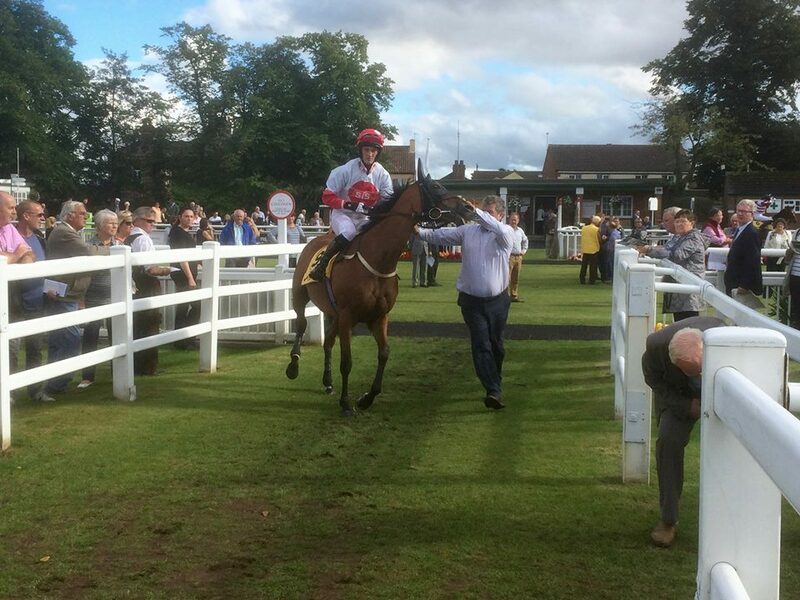 The penultimate race in the BETFAIR NOVICE AMATEUR JOCKEYS SERIES was the first race of the evening card held over 2 miles at Thirsk on Monday 22 August with Jockey Coach Tim Reed walking the course as is customary with the jockeys 90 minutes before each race. The rain softened ground saw 11 runners finishing well strung out with eventual winner QUESTION OF FAITH held up by Gary Beaumont and settled at the rear of the field in the early stages. Making a move 4 furlongs out, the partnership got the better of HERO’S STORY and Matt Ennis in the final couple of furlongs to stay on and win by 3 1/4 lengths. 3rd was Emily Bullock with BELLE PEINTURE. Many congratulations to Gary and to winning connections! 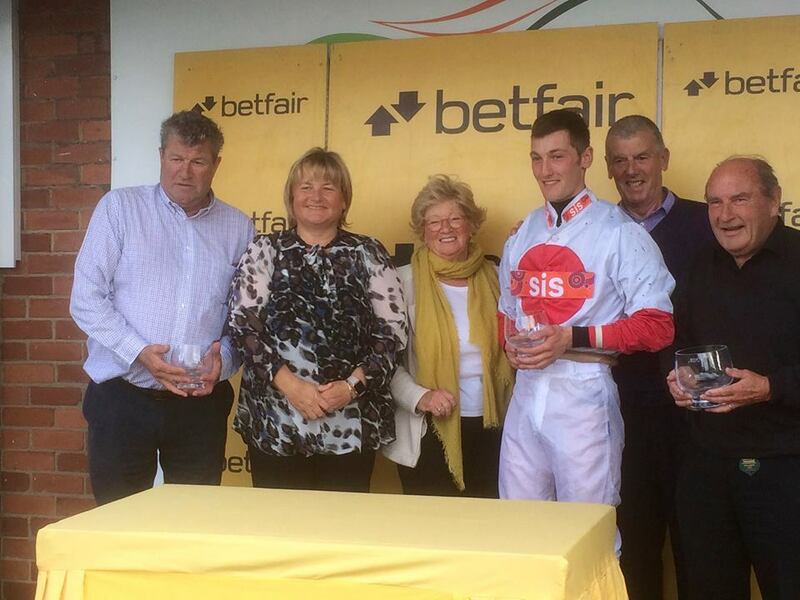 Our thanks go to sponsors Betfair for these great race riding experiences for our novice amateur flat jockeys. The series now moves on to Ripon for the finale on Monday 29 August. 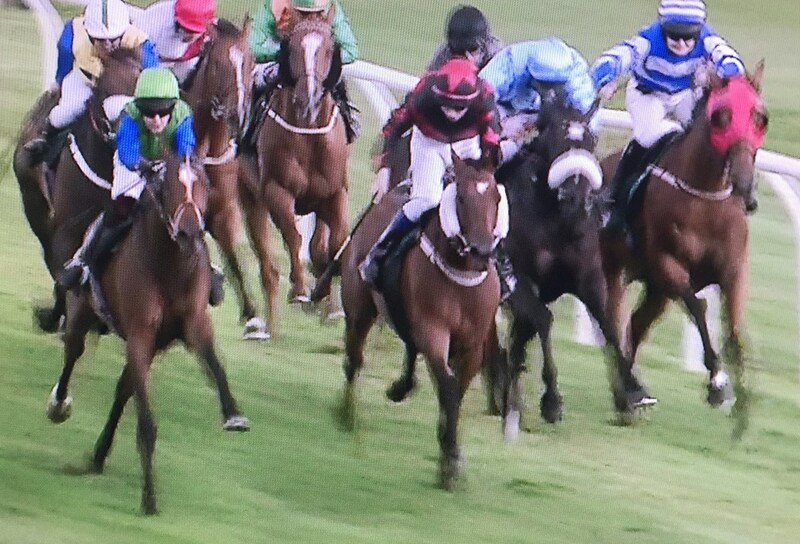 The 6th of the 8 races in the BETFAIR NOVICE AMATEUR JOCKEYS SERIES was the first race of the afternoon at Carlisle on Wednesday 17 August with Jockey Coach Tim Reed in attendance. In spite of this being his first season with an enviable race record so far of 75% success (3 wins from 4 rides), Bruce Lynn was making his first appearance in this series and was not to disappoint, partnering in-form trainer Nigel Tinkler’s CAESAR THE GAESAR. 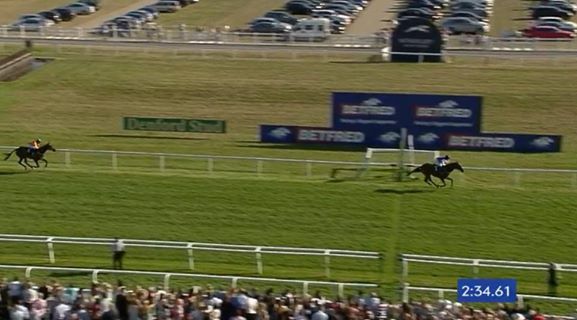 Always in touch, with Rachel Sharpe leading the field until 2 furlongs from home on NATIVE FALLS, Bruce began to make a move to lead inside the final furlong and keep on well to win by 2 1/2 lengths. Second was Tom Greenwood with PICKS PINTA with Matt Ennis 2 1/2 lengths back in 3rd, denying Rachel Sharpe that place by a neck. Congratulations to Bruce and to all winning connections! 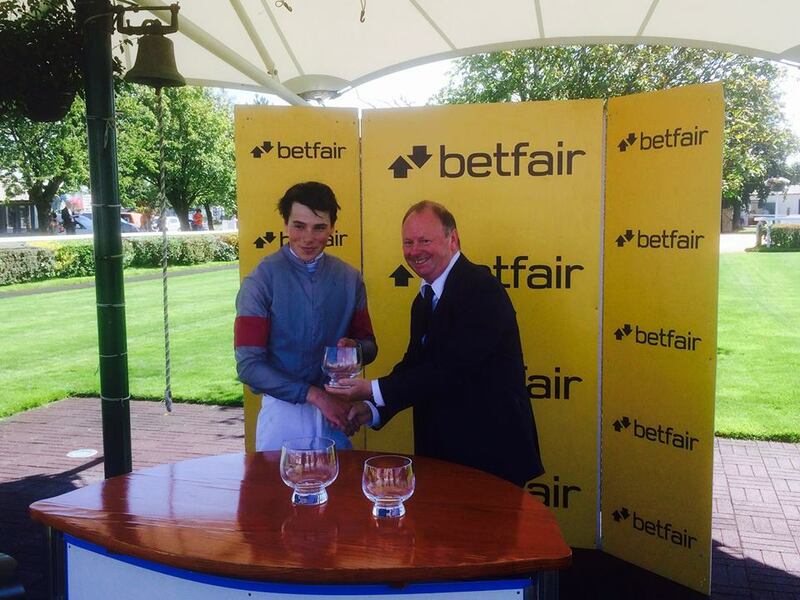 Many thanks to generous sponsors Betfair for these great race riding experiences for our novice amateur flat jockeys. 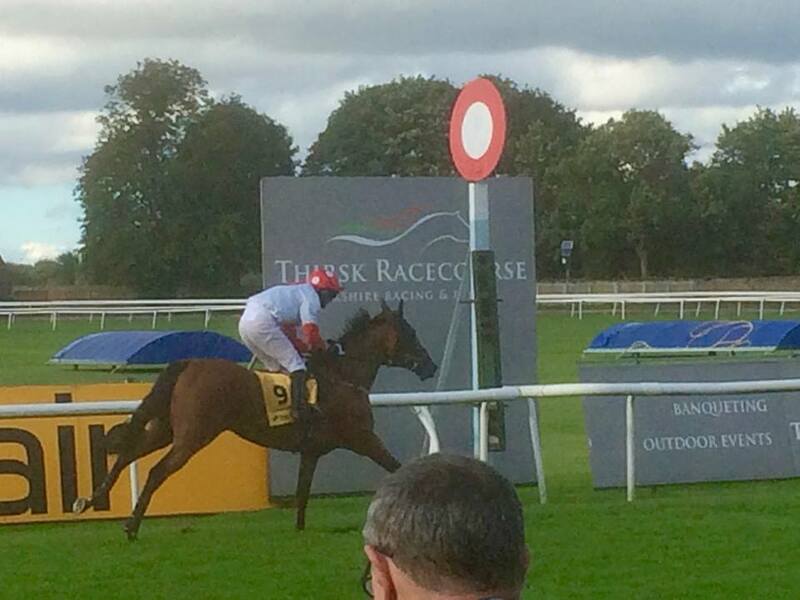 The series now moves on to Thirsk on Monday as the first race on the evening card with 11 runners and riders. ALL participating jockeys are expected to attend the coursewalk which takes places 90 minutes before the race, as always meeting the Jockey Coach Tim Reed on the Weighing Room steps. Fail to prepare or prepare to fail! If you choose not to attend the coursewalk then you are not taking your participation in these races seriously enough! 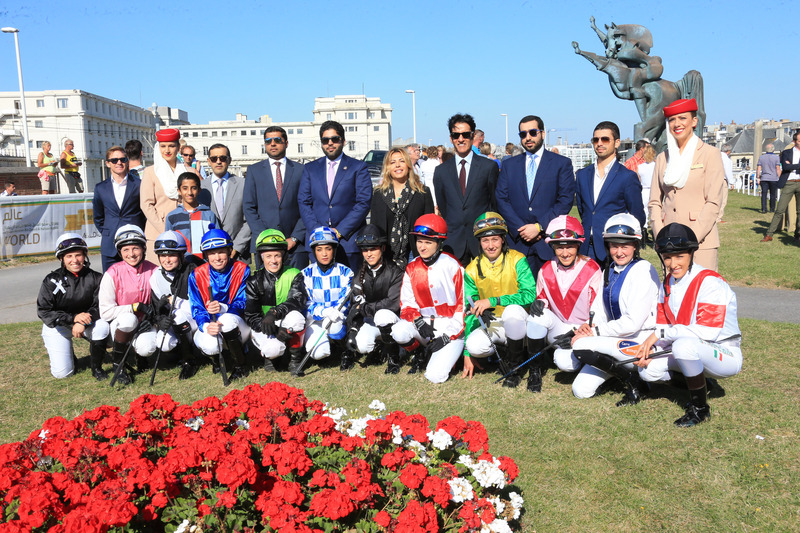 The 12th of 15 races of the HH Sheikha Fatima Bint Mubarak 2016 Ladies World Championship Series took place at Hippodrome Wellington, Ostend, Belgium on Monday 15th August. 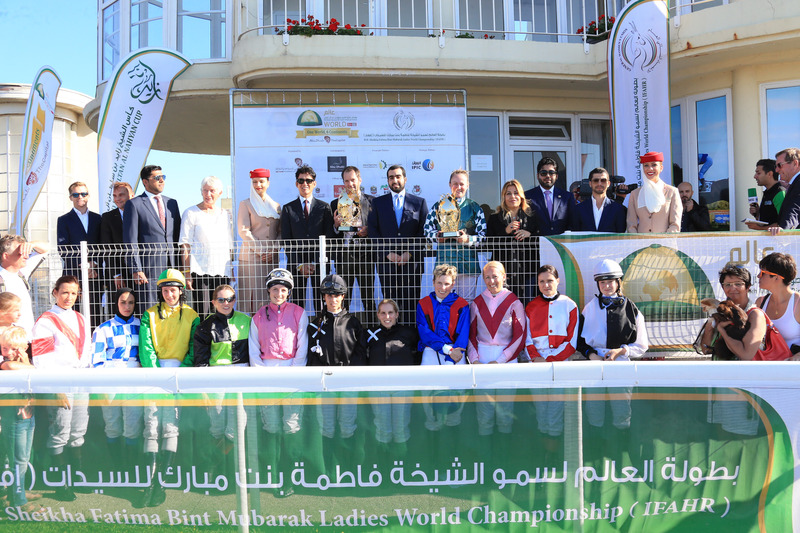 International lady jockeys represented 10 different countries: Belgium, Denmark, Germany, Great Britain, Ireland,Italy, Norway, Oman, Poland and Spain. 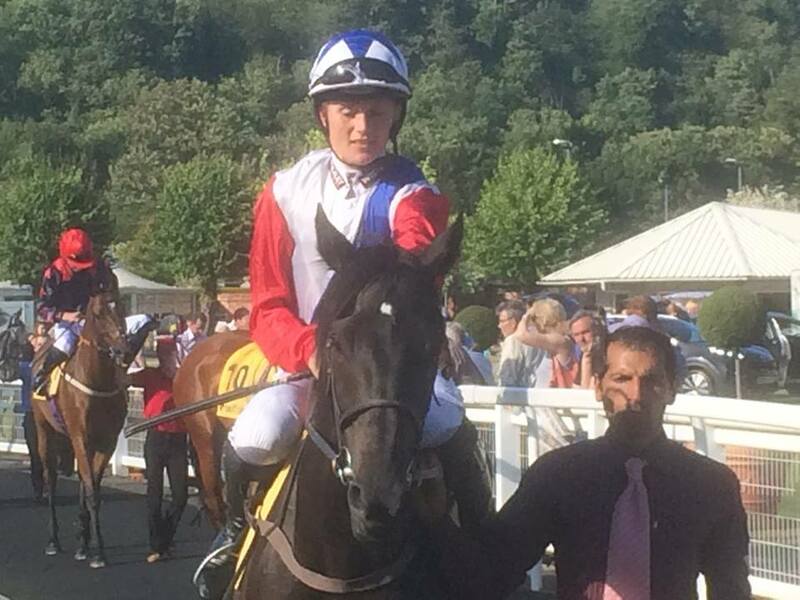 We are immensely proud that Catherine Walton riding for Great Britain enjoyed a winner in only her first ever Arabian race! 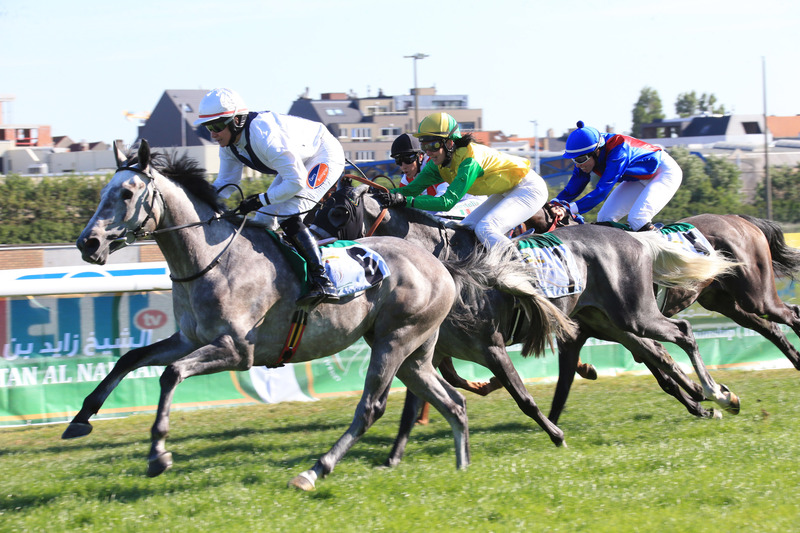 Riding MESSI for Belgian owner-trainer Vido Keersmaekers, Catherine’s horse responded to her strong driving to lead inside the final furlong and stay on well, winning by 3/4 of a length. Catherine’s career highlight up until this point had been winning the Ladies Open Hunterchase at Cheltenham in 2014 with Ockey De Neuilliac! Following her success she said “I was looking forward to this ride and I just tried my best.” By coincidence, this same race was won by amateur jockey Page Fuller on MESSI’s full brother in 2015! Many thanks to Lara Sawaya, Executive Director of HH Sheikh Mansoor Bin Zayed Al Nahyan Global Arabian Horse Flat Racing Festival, for another great race enjoyed by lady jockeys from all over the world. 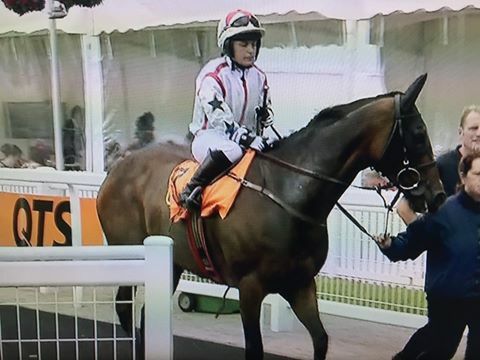 Catherine now looks forward to riding in the ladies finale in Abu Dhabi on 13th November alongside her compatriot Alice Mills, ex-amateur and now professional jockey, who won in Bahrain earlier this year. Well done Catherine! 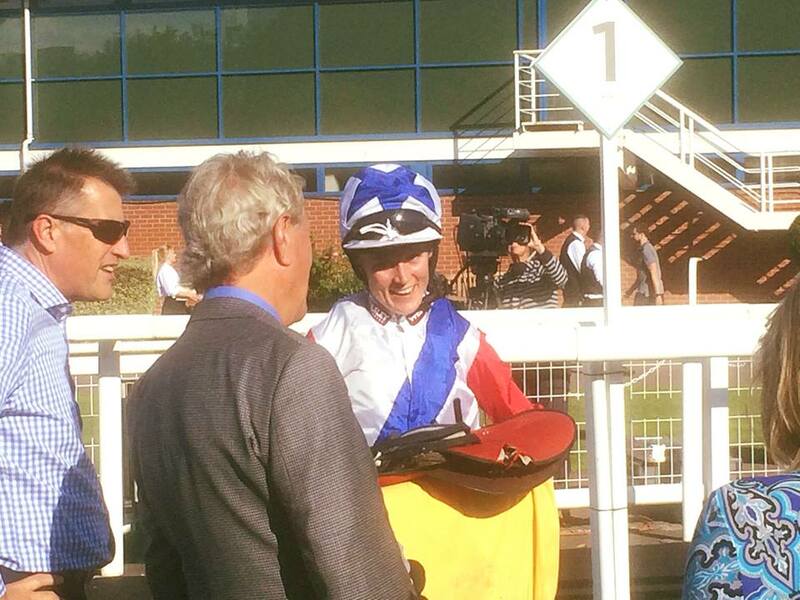 Ladies Derby held at Newbury has become something of a speciality for our multiple champion lady rider Serena Brotherton with success in this race being enjoyed by her for the 6th time on Saturday 13th August. 8 runners and lady riders went to post for the Betfred Ladies Derby with Serena riding for Alan King aboard COSMEAPOLITAN who started 10/11 favourite. The partnership were always in touch and made smooth headway to lead two furlongs from home and win easily by 10 lengths from Becky Smith and SAMTU for Marjorie Fife 2nd with Hayley Moore 3rd aboard WHINGING WILLIE for her father Gary. Congratulations to Serena and winning connections on this victory which significantly gave Serena her 5th win of the season to re-join Joanna Mason at the top of the season’s battle for the Ladies Flat Championship. 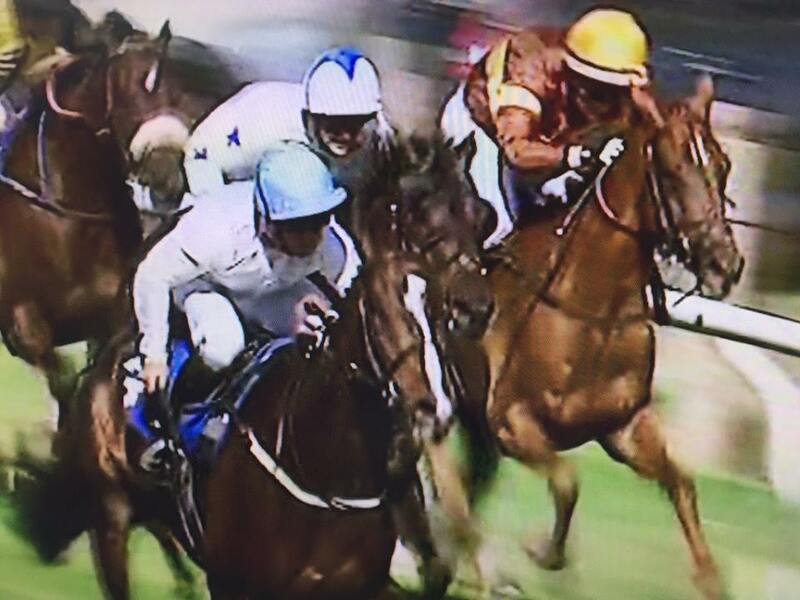 Joanna had just edged into the lead only 2 days earlier with her win at Beverley and so it looks like we may have a game of cat-and-mouse (as last year) between these two top lady riders. However, all is far from over this season as Amie Waugh with 3 wins so far has them in her sights, whilst Becky Smith and Catherine Walton are on 2 wins apiece. Good luck all! The 5th of the 8 races in the BETFAIR NOVICE AMATEUR JOCKEYS SERIES was the final race of the afternoon at Nottingham on Friday 12th August with Jockey Coach Tim Reed as always in attendance to conduct the coursewalk prior to the race. 9 jockeys went to post. A strong pace was set by Katy Lyons maintaining her partnership with last year’s winner Mick Channon’s HIGHLIFE DANCER together with Abbie Mccain and QATEA cutting out the running. 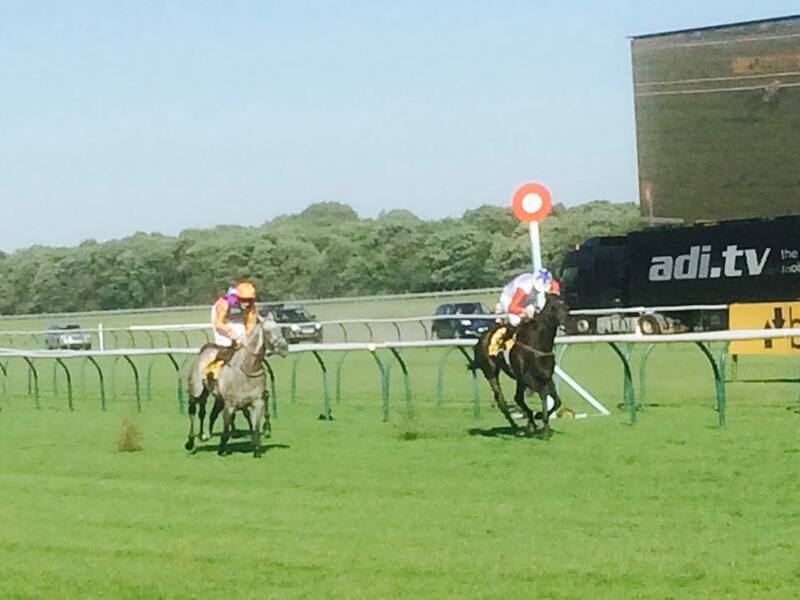 Matt Ennis chased this leading pair until closing from 3 furlongs out to take up the lead 2 furlongs from home. 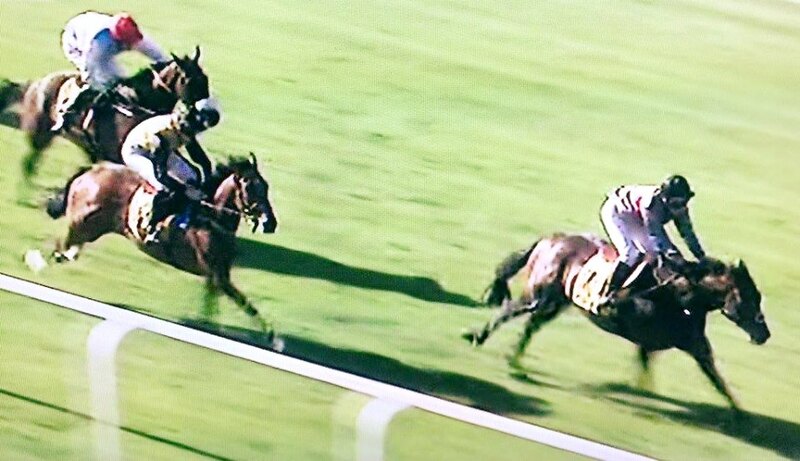 However at this stage under very strong driving the gallant HIGHLIFE DANCER and Katy Lyons rallied to lead again inside the final furlong and hold on to win by 3/4 of a length. Congratulations to Katy and to all winning connections. This series is all about teaching inexperienced novice Flat jockeys and unfortunately there was a sting in the tail for Katy. As a result of her excessive use of the whip Katy picked up a lengthy ban. 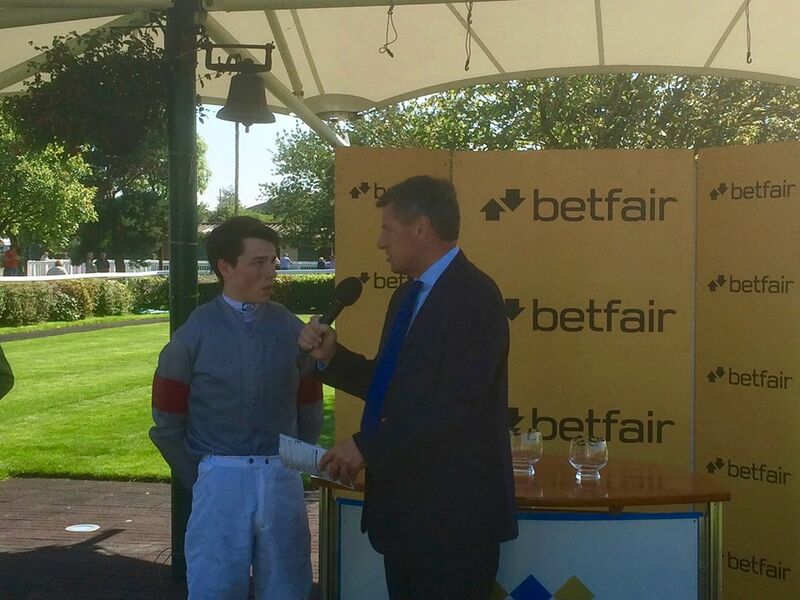 Huge thanks as always to our generous sponsors Betfair for these great race riding experiences for our novice amateur flat jockeys under the watchful eye of their Jockey Coach. 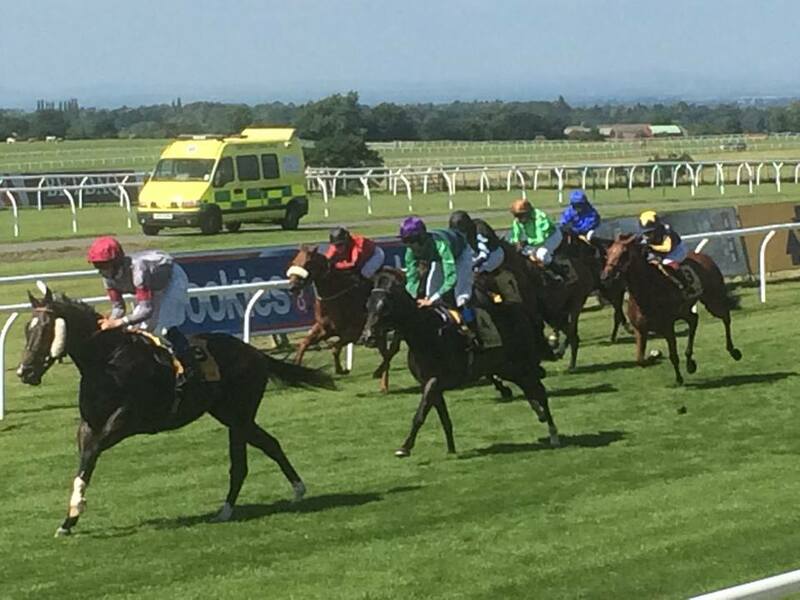 The series now moves on to Carlisle on Wednesday where the opening race there sees 12 runners. ALL participating jockeys are expected to attend the coursewalk which takes places 90 minutes before the race, as always meeting the Jockey Coach on the Weighing Room steps. Fail to prepare or prepare to fail! If you choose not to attend the coursewalk then you are not taking your participation in these races seriously enough! Professional jockeys can regularly be seen walking the course before their rides – you never know what you may learn about the ground and your Jockey Coach is there for YOU. All jockeys should always be as fully prepared as possible before undertaking a race ride so that you can do justice to your horse and yourself, never mind the owner and trainer kind enough to support you! 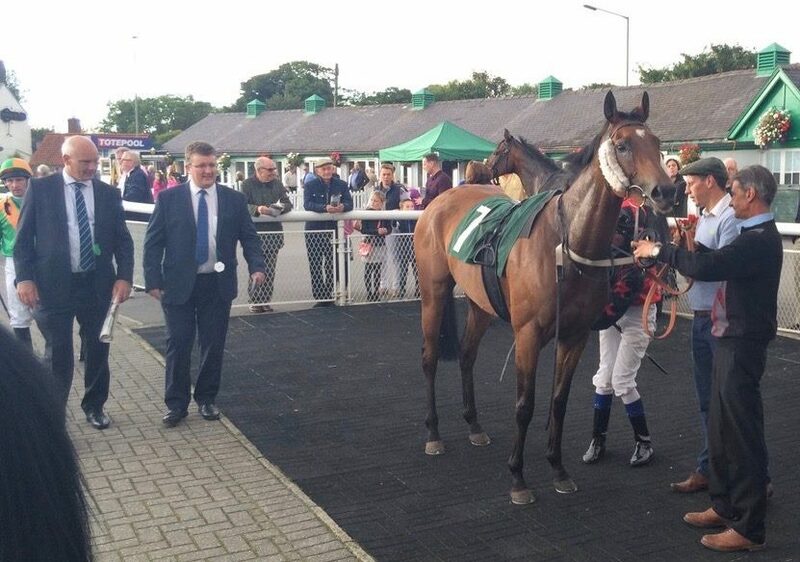 Catterick Ladies Evening on 12th August opened with the Haughty Hats Amateur Riders Handicap with 9 runners going to post including Sir Mark Prescott’s 11/10 hot favourite CLIFF FACE ridden by Serena Brotherton. As the race developed, Cliff Face took it up inside the final furlong only to be headed late on by NEUF DES COEURS and Bruce Lynn who came from last to first! Neuf Des Couers kept on to win by a length and a quarter, with Cliff Face 2nd and Molly King winning the battle for 3rd with SHIRATAKI getting the better of Harriet Dukes (neck) and Hugo Hunt (neck 5th). 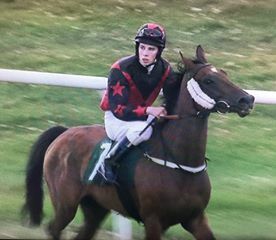 Many congratulations to Hawick’s 16 year old Bruce with his 2nd career success (2 wins in a week) from a total of only 3 rides for Iain Jardine. He is certainly making a name for himself. Congratulations to all winning connections. The 4th of the 8 races in the BETFAIR NOVICE AMATEUR JOCKEYS SERIES was the final race of the afternoon at Royal Windsor on Sunday 7th August under the watchful eye of Jockey Coach Tim Reed with 9 jockeys going to post. 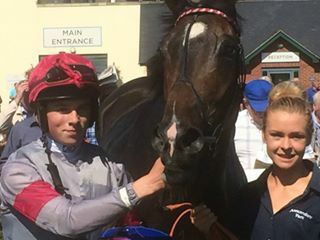 Charlotte Greenway had enjoyed success here just 6 days earlier when she won aboard JERSEY JEWEL for Tom Dascombe in the Sky Bet Amateur Riders Handicap, winning that night by 1 3/4 lengths from Katy Lyons 2nd with Abbie Mccain 3rd. The same partnership lined up favourite on Sunday but unfortunately there was drama early on in the race when they were squeezed for room after passing the bend just over a furlong from the start and Charlotte was unseated. Meanwhile Molly King on Peter Hiatt’s SHIRATAKI was always travelling well, tracking the leaders from 5 furlongs out to lead inside the final couple of furlongs and Molly drove her horse out to win by 1 1/2 lengths from Katy Lyons on MISS TIGER LILY with James King and CHANTECLER 3rd. Thankfully Charlotte was unscathed from her fall although bruised and shaken. 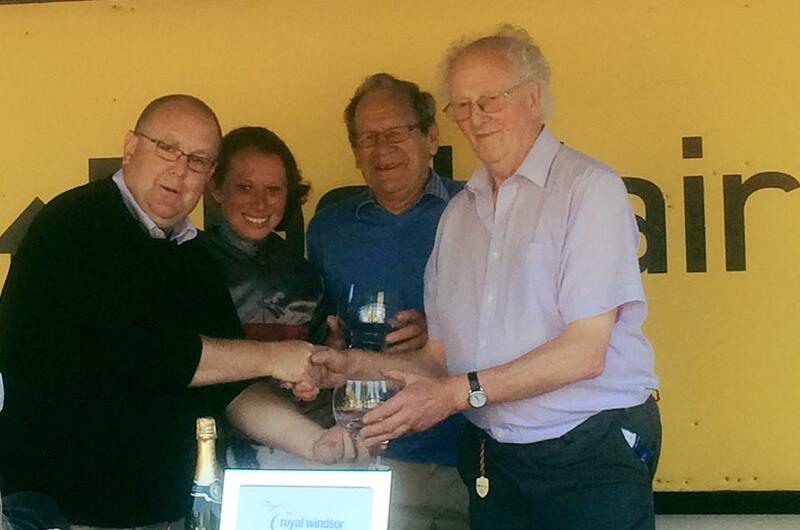 Many thanks to our sponsors BETFAIR for another race which has given invaluable race riding experience to amateur jockeys and many congratulations to Molly on a fine victory! 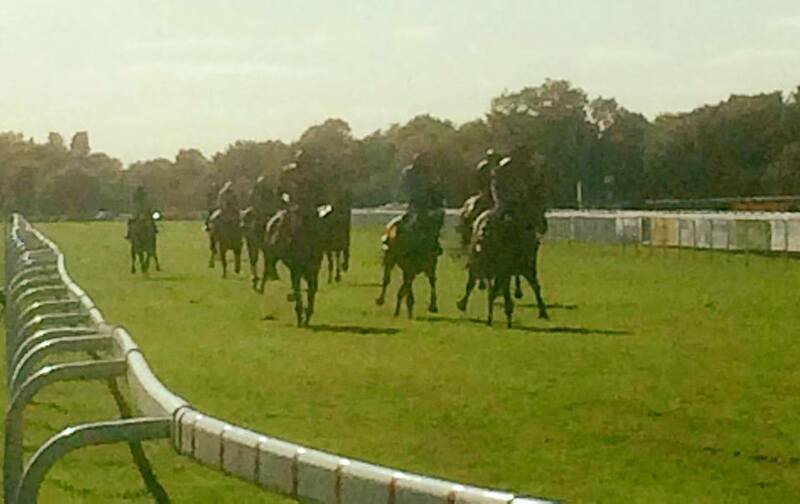 The series now moves to NOTTINGHAM for the 5th race in the series tomorrow with 10 runners declared. All jockeys Abbie Mccain Matt Brown Katy Lyons Matt Ennis Jason Doe Misha Voikhansky Dawn Scott James Kendrick Tom Broughton are asked to meet Jockey Coach Tim Reed outside the Weighing Room at 3:45 pm for the coursewalk. This is not compulsory but jockeys are expected to attend. AMATEUR riders are sometimes stereotyped as wannabe professionals or blessed with a bloodline that means there is rarely a need to check a buoyant bank balance. But while the grassroots level of riding is inevitably different now from where it started, the age of the corinthian is not quite dead and buried. Serena Brotherton, an eight-time champion female amateur rider, proved that when reaching the cherished milestone of 100 winners on the Flat recently – a rare and notable achievement given the small number of races available to amateurs. While it may have taken the best part of two decades to reach her landmark, for the past eight years Brotherton has juggled her much-loved unpaid vocation in the saddle with her career as a solicitor. A daily juggle, no doubt, but one she clearly relishes and without the regular grind of long hauls to and from the track, or being shadowed by the daily demands of the weighing scales like their professional counterparts, there is good reason why she and her part-time colleagues relish the infrequent days when an amateur riders’ race makes the schedule. Less stress – the importance of which is not to be underestimated against the backdrop of Kieren Fallon’s retirement because of depression and general moves towards protecting jockeys’ mental health – and more camaraderie seem to be key ingredients in making an amateur career a fulsome one. And, as RPSunday discovered, there are more riders than Brotherton able to balance riding with a regular day job. Novelist, columnist and political consultant, when it comes to Rachel Wilson’s chosen profession she is certainly well qualified. But as well as her penchant for literature, she is also a keen horsewoman and through a diet of early mornings and early nights she somehow manages to marry the two. As a freelance writer, Wilson, from Market Harborough, has a degree of flexibility to her schedule and adopting the early-worm approach to life has seen her lifelong love for horses result in five winning rides on the Flat. “The main sacrifice is my social life,” says Wilson, speaking after completing her usual morning routine that includes a 120-mile round trip to Paul d’Arcy’s Newmarket yard to exercise her pride and joy, six-year-old sprinter Red Invader, owned by her husband Charlie. Despite her lack of nights out, Wilson would not have it any other way, and the sincerity in her voice is unquestionable as she describes how lucky she feels. Since gaining her licence in 2011, Wilson has had close to 50 rides, with three of her five wins coming aboard Red Invader. As if motoring around the north of England, delivering the patter of a canny saleswoman and keeping an amateur riding career afloat was not enough to contend with, Victoria Davies has the little matter of two-year-old twin boys to nurture. Somehow she fits everything into a jam-packed schedule. As the daughter of North Yorkshire trainer Ron Barr, Davies was raised on handicap ratings and evening stables, although having seen the less glamorous side of racing there was never any great ambition to ride professionally. 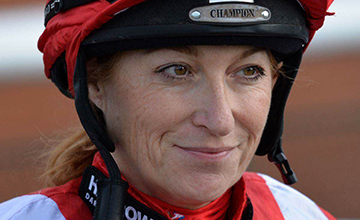 Davies first rode competitively with a licence in 2003 and has amassed more than 120 rides, almost exclusively for her father, picking up five winners along the way. Three years ago she started a career that looks like providing the security crucial to her young family, taking up the post as northern regional sales manager for Spillers Horse Feed and, despite the travel involved, she has managed to maintain her riding interest. “Being an amateur is manageable,” she says. “There aren’t masses of races and we tend to stay local. The programme tends to stay the same each year so I know I need to be fit from around May. David Dunsdon is perhaps a more recognisable name than many in racing’s amateur ranks and, despite scaling back his riding commitments in recent years, one of the most talented non-professionals of his generation is still intrinsically linked with the sport. In his pomp, Dunsdon was Fegentri World amateur champion and even had a spin in the Grand National on Joly Bey, owned by his father John and trained by his cousin Nick Gifford, completing the course when 14th in 2005. More recently his commitments at the family’s Surrey property company Coldunell, of which he is managing director, have dominated his time, but with the 34-year-old still harbouring an ambition to ride at least one winner under rules a year, there is no indication a riding career well into its second decade is nearing a finale. Dunsdon spent more time riding in France than Britain during his 20s but cut back drastically following the death of his father in 2012 as commitments changed. However, he now feels he is in a position where he can perhaps dedicate more time to riding, although he will be partnering only his own horses from now. His glory days on the track may be in the past but there are not many 34-year-olds who have experienced as much as Dunsdon, and it is unsurprising to hear he still has some lofty dreams, including riding at the Cheltenham Festival again. Stranger things have happened in racing, especially considering Willie Mullins is one of his trainers. Louis Muspratt is well placed to discuss the differing dynamics of the professional and amateur arms of the sport. Now a bricklayer by trade, Muspratt’s ambition was to ride professionally and he even turned conditional in 2013 when attached to Chris Gordon’s yard. The transition was short-lived, however, and after a challenging 12 months he made the decision to give up on his dream, instead reverting to amateur status and thinking of a second career. Muspratt rode four winners as a conditional for Gordon but the experience opened his eyes to what might lie ahead if he relied solely on a career race-riding. Muspratt decided to combine amateur riding with a two-year apprenticeship in bricklaying. Fully qualified now, he thoroughly enjoys his new livelihood in Poole, although riding has had to take a back seat. “I did hang my boots up at the end of this season,” he says, although not entirely convincingly. “The best horse I ride is Impact Area and I’d more than likely come back for him next season, but he’d be my sole inspiration. Muspratt describes race-riding as a drug and one he misses, although he makes clear it is the non-professional side of the sport that gives him his fix. Sam Davies-Thomas is something of a celebrity in the point-to-point sphere. With 70 wins at racing’s grassroots level, he is widely recognised as one of the best amateurs around. Turning professional was never a viable option for Davies-Thomas, so instead he has put his passion for racing to good use, training to become a saddler three years ago, a vocation he now adores and one that has not suffocated his race-riding ambitions. “Since taking on this job I’ve probably got busier riding,” he says. “I’ve three main yards I ride for. The problem is one’s in East Anglia, one’s in Kent and one’s in Leicestershire. Davies-Thomas is perhaps in the minority as he clearly has a fantastic relationship with his bosses at Harley Equestrian in Northamptonshire, another reason his successful point-to-point career continues to flourish. “Because my bosses are so good I can keep up my riding commitments,” says Davies-Thomas, who was third in the national point-to-point championship with 27 winners last season. “If I have a ride in the week they are very understanding and the blend is great. I’m making a career and having a hobby at the same time. Having previously worked for Jonjo O’Neill and Caroline Bailey it is unsurprising he is at the top of the amateur ranks, and although his weight scuppered any hope to ride professionally he would urge others in a similar position to take the amateur road. 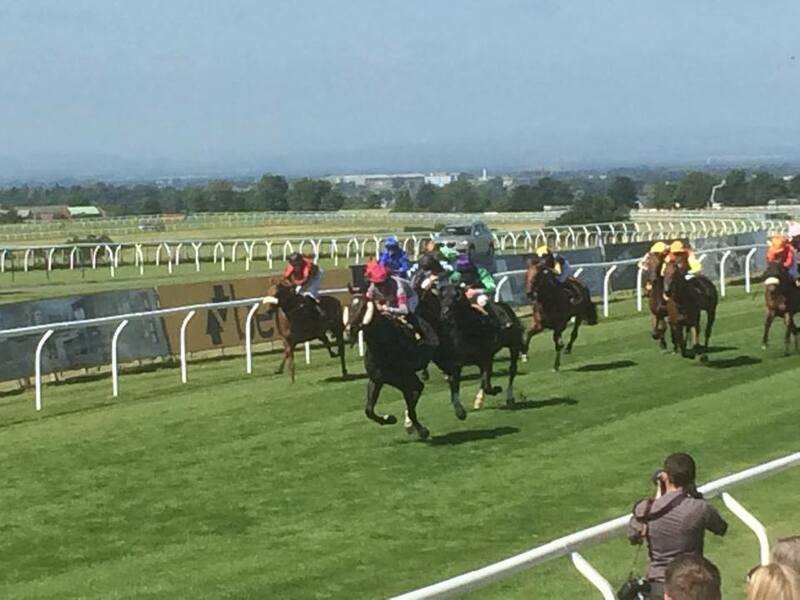 Saturday kept ladies jockeys busy with of course not only the Shergar Cup at Ascot confined to professionals and the Pro-Am Betfred at Haydock but also the QTS Investors in Young People Pro-Am Ladies Handicap at Ayr. 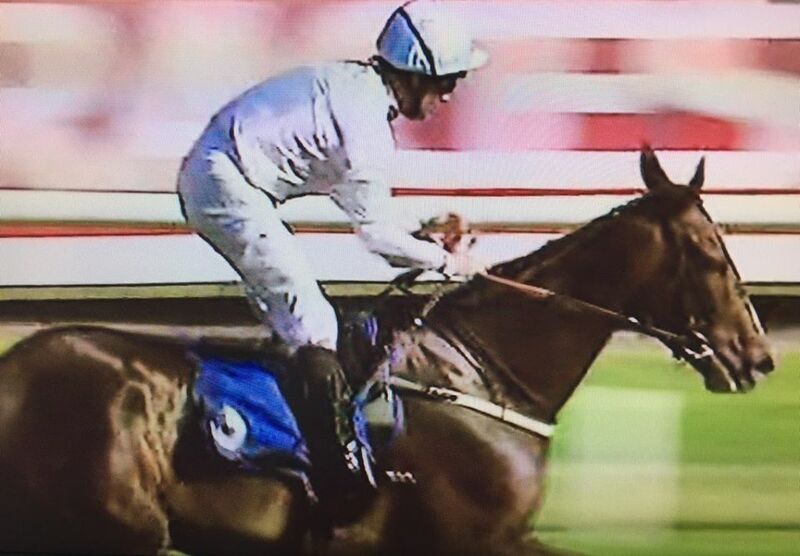 Congratulations to Amie Waugh (still fresh from her win at Carlisle last Monday) on producing a driving finish from TED’S BROTHER for Richard Guest at Ayr to win by a neck from apprentice Anna Hesketh and DRINKS FOR LOSERS with Serena Brotherton 3rd on DOLPHIN ROCK. 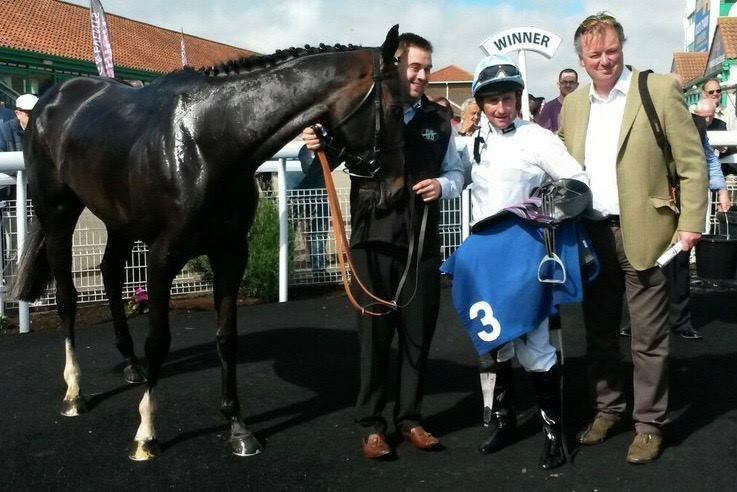 This was Amy’s 3rd win from only 8 rides on the Flat this season and she now has ridden 2 winners from 2 rides at Ayr. 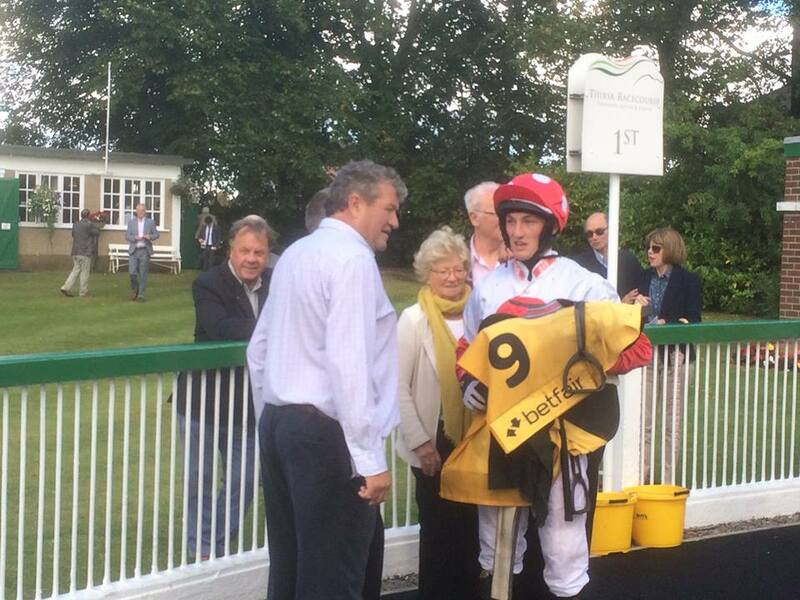 Amie has also already enjoyed 3 winners over jumps this season. Go Amie!